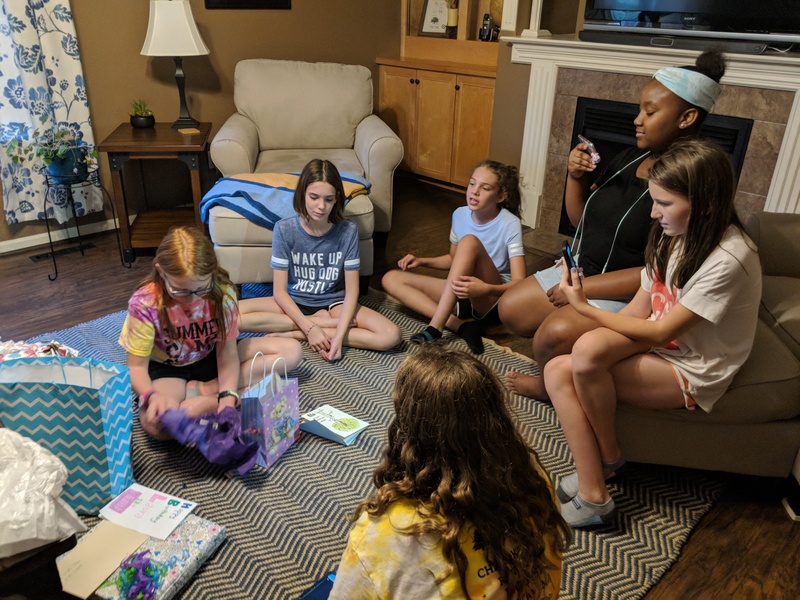 Laura had her birthday sleepover party with just us girls tonight. Five girls came to celebrate with her. 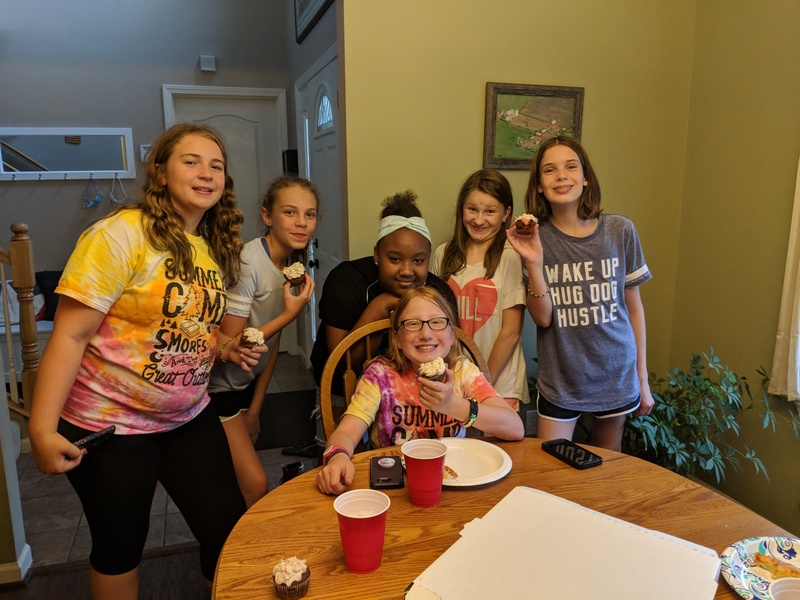 It was an evening of pizza, cupcakes, presents, swimming, and fun! 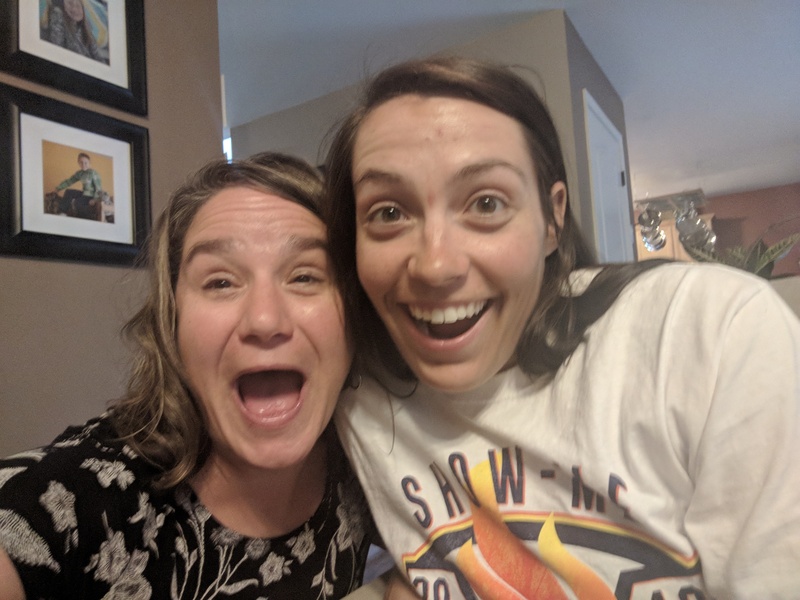 Special thanks to Uncle Jeremy for coming over and “pretending” to be Andy so that I could take the girls to the pool and special thanks to Lauren for helping me survive the night! Last, but certainly not least, Happy Birthday Andy! We hope you are having fun with John at camp and we love you!